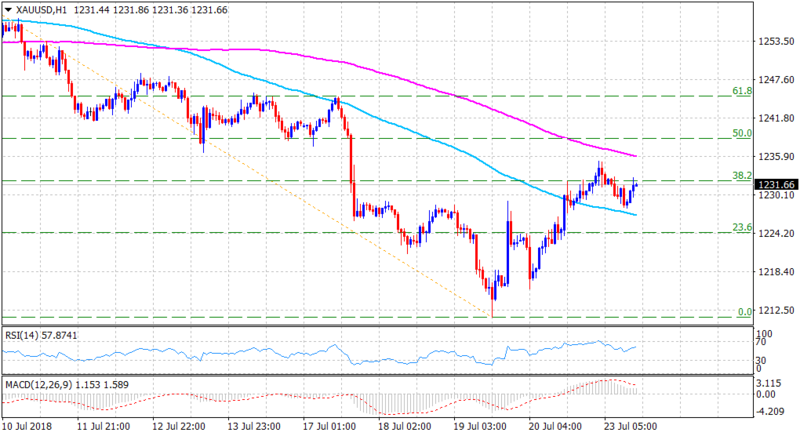 • The precious metal continued with its range-bound price action through the mid-European session, albeit has managed to hold its neck above 100-period SMA. • With technical indicators on the 1-hourly chart holding comfortably in positive territory, a follow-through up-move beyond 200-period SMA now seems to pave the way for an additional near-term recovery move. • However, easing USD bearish pressure could turn out to be the only factor capping any meaningful up-move for the dollar-denominated commodity.